The SIUE East St. Louis Center has been offering TRIO Upward Bound Programs for forty years. 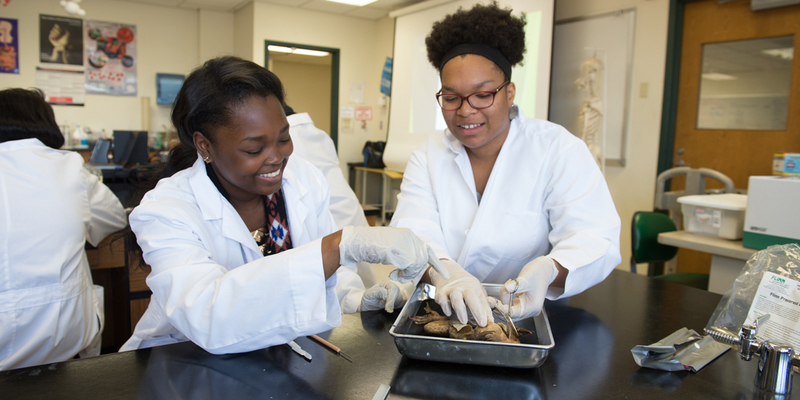 The SIUE East St. Louis Center manages three TRIO Upward Bound Program grants that serve 275 high school students from School, District 189, Cahokia, SIUE East St. Louis Charter, Brooklyn and Madison. Upward Bound is a federally funded college preparatory program for students in middle and high school. The purpose of these programs is to increase the likelihood that low-income first-generation college students will graduate from high school and enroll in post-secondary education. The Veterans Upward Bound Program serves military veterans from St. Louis City, St. Louis County, St. Charles County, Madison County, St. Clair County, Monroe County and surrounding areas. It is designed to assist qualified veterans in the development of academic and other requisite skills necessary for success in a program of post-secondary education. The program provides assessment, encouragement and skill enhancement through mentoring, instructing and advising.